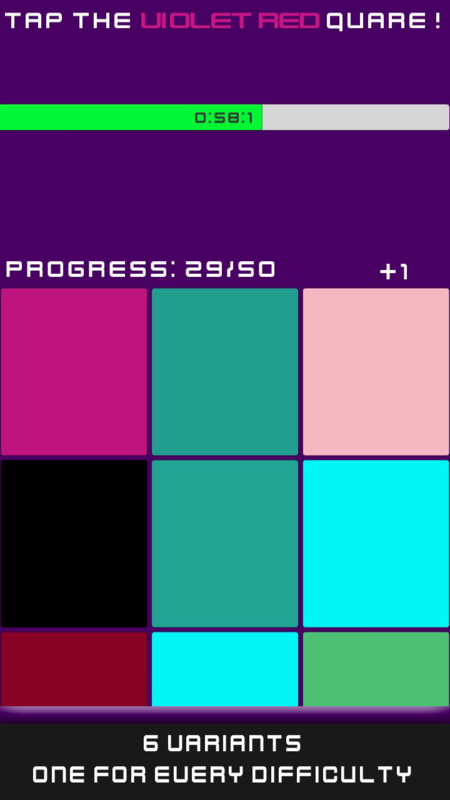 Kirai Colors is a 2D fast placed casual game where your knowledge about color will help you in different ways. 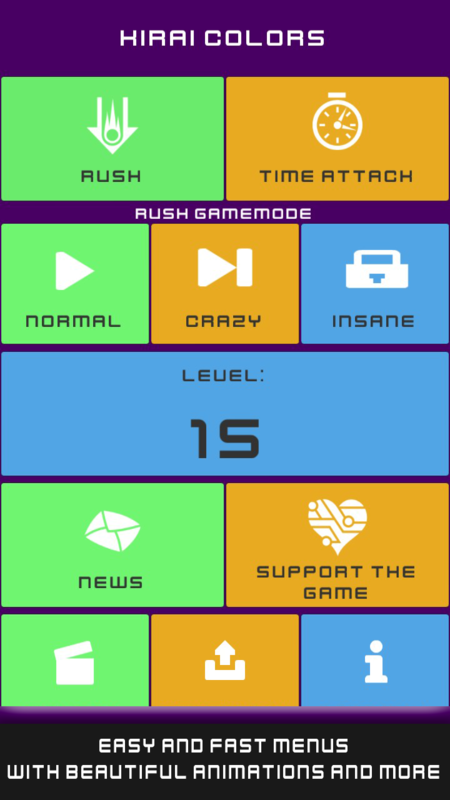 The base gamemode is Rush, the ultimate challege to prove your speed in finding the right color. You can't play only by tapping randomly on your screen, you have to use your head to find out the right way to proced, only one square will not make you cry! If you are not that crazy to run like a cheetah, you will surely like Time Attack mode that is more relaxing. 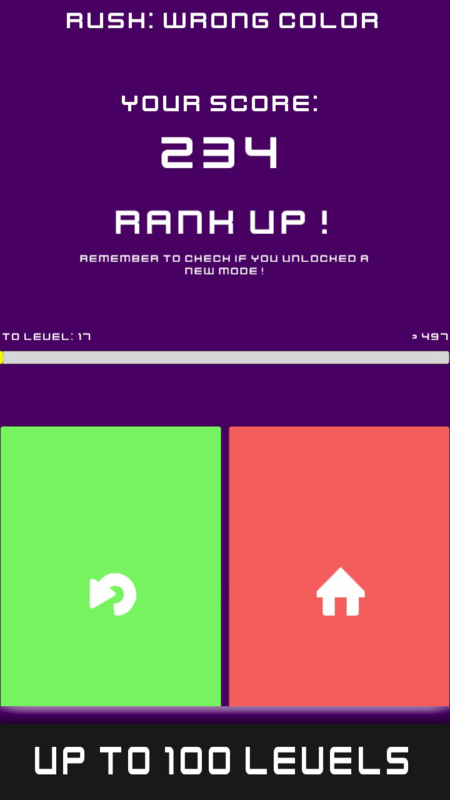 In this gamemode you have to tap all the requested colors without any worries, your only aim is get to the end. The game is not limited to 2 gamemodes, you can play them in 6 different variants based on difficulty! Grow your skills and earn exp to gain up to 100 levels that will allow you to unlock all the variants in the game! Today is the day, I've released Kirai Colors full project on GitHub under Mit Licence! To use this project you will need Unity 5.3.x, then you can freely download, edit and republish it as you want! What are you waiting? This is a really great occasion to build your own game based on mine or just learn how I've made it. Time to become open source! 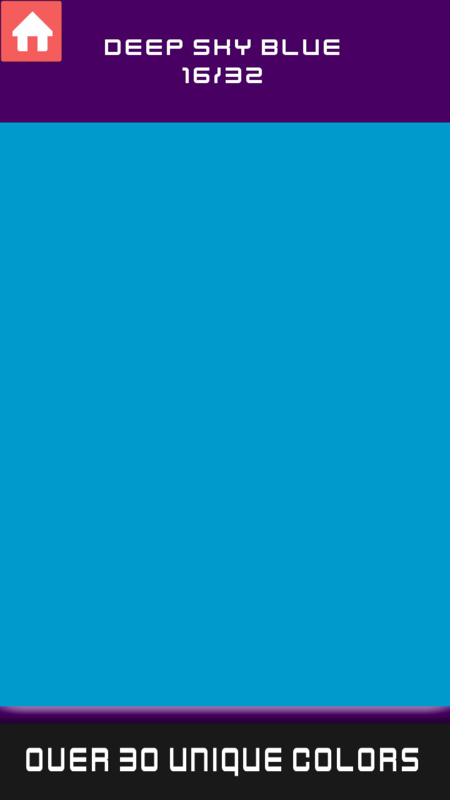 On 30th March Kirai Colors will be open source! I'll also release it under Mit Licence! Finnaly the release is near, you can even smell it into the air. 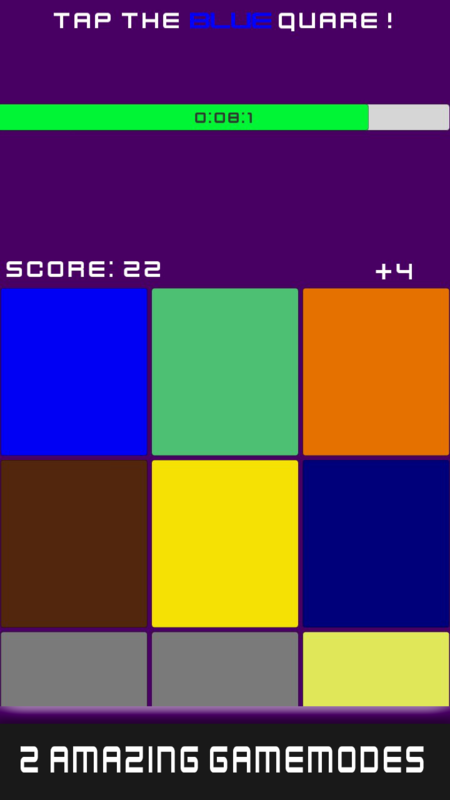 Today Kirai Colors Beta version is going live on Windows Store and Play Store! Kirai Colors Open Beta is near and today I've release the new trailer!